As core guest representative the Camelway reps just came back from the Bauma exhibition at shanghai with success! 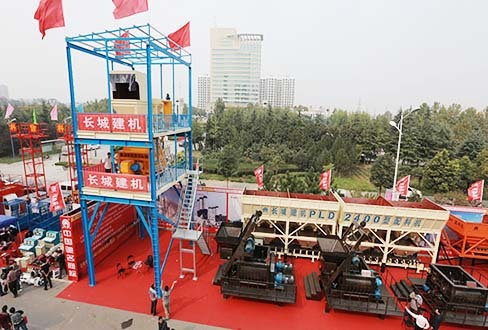 During the exhibition we displayed our main products and feature products to the visitors and got good feedback.almost everyone who has seen our products will make auditory comment on it,the main products we displayed include HZS series concrete batching plants,and js series concrete mixers,cement silos.The credits we got form our feature products self-loading concrete mixer are more than others.lots of our old and new friend are shocked by our breakthrough of new technology and innovation!And then they decide to cement our business relationship on a long-term prospect. Our company is sincerely welcome the customers from all over the world,and will continue to reply our user with kindness,respect and understanding! What is a Concrete mixing plant?